STIHL announced this press release on September 1, 2014 regarding their stance of selling their products online. As some of you may already know, STIHL has resisted selling their products online as they want to provide personal one-on-one customer service when it comes to making the sale. Although there are many good reasons for controlling their customer service by resisting online sales, it has allowed them to ensure educating the consumer by showing them proper safety and maintenance procedures for their products. But in a changing world where everything is online, it seems like a natural evolution for STIHL to start selling through all viable channels. Online is here to stay, so better late than never. For now, they’ve announced they’ll allow online sales via authorized dealers in the EU. Hooray! Selected STIHL and VIKING products can soon be bought online via servicing dealers within the EU. STIHL has decided to take this step because of a changed legal framework. 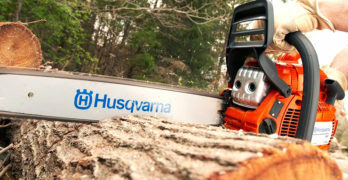 The manufacturer of chain saws and other handheld power tools continues to rely exclusively on the servicing dealer, but is also taking into account the current legal requirements within the EU as well as the growing significance of the Internet for the power tool segment. The online business will supplement the dealer’s local presence. In the future STIHL will provide servicing dealers with a shop platform. This will allow servicing dealers to be present on the Internet with their own website including a shop function without major expense and effort. This is intended to allow as many dealers as possible to use this new sales channel. The Internet platform also ensures the usual STIHL quality appearance. The STIHL dealer agreement will be amended with quality criterias to address the Internet sales. “Even in online sales, the STIHL dealer remains the only and direct partner for the customer,” stresses STIHL’s Chair-man of the Executive Board , Dr. Bertram Kandziora. The dealer’s website supports the customer in his buying decision with product and dealer information. The customer can reserve the entire range of STIHL and VIKING products online for pick up at the dealer. However, products for which an extensive briefing is essential (e.g. 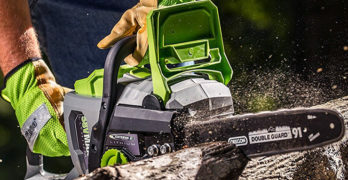 chain saws and cut-off machines) still require advice and instruction by the local dealer and can therefore only be reserved online and delivered in person in the established retail location of the dealer. On the other hand, customers can buy products that need less extensive personal instruction (e.g. blowers, forestry equipment, personal protective gear, VIKING products) online and have the dealer send those to them. Use of the Internet as an information and trading platform continues to grow in the power tool segment. At the same time, legal requirements at the German and EU levels are increasingly taking the changing behavior of customers into account. For these reasons, STIHL is having to adapt to the new legal environment. STIHL has always banked on the highest possible product quality and the competence of servicing dealers. Personal advice, briefing on proper use, delivery of products ready for operation and professional customer service are mainstays of the brand philosophy. The Chairman of the Excecutive Board, Dr. Kandziora, explains: “The customer’s safety above all is a key priority for STIHL. For that reason, it is especially important for us that the customer is briefed by the dealer on proper use of the products.” Worldwide surveys confirm that the customer appreciates high-quality expert advice and the personal contact with the dealer in particular. 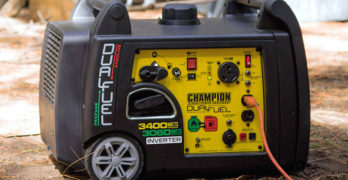 For additional articles on outdoor power equipment visit Outdoor Living.